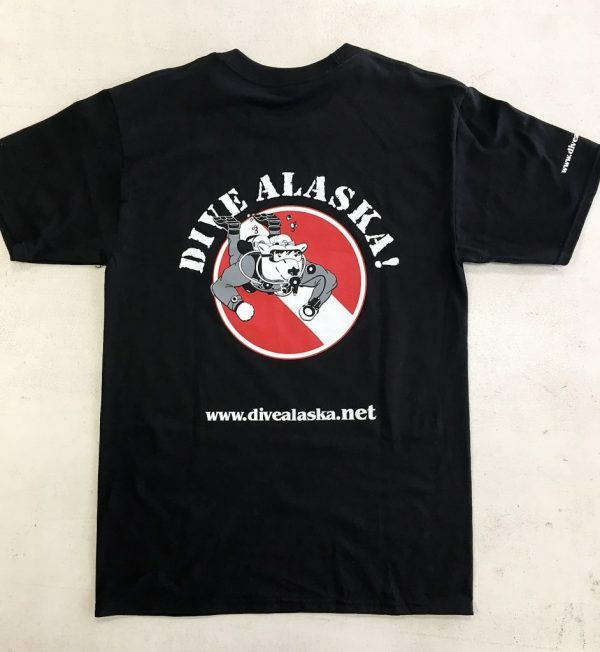 Dive Alaska T-Shirt; looks good, feels good. 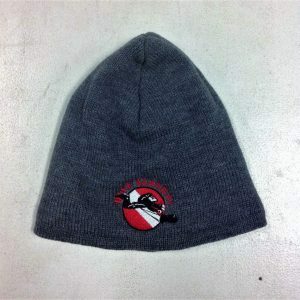 Wow your friends by sporting this nifty Dive Alaska T-Shirt. 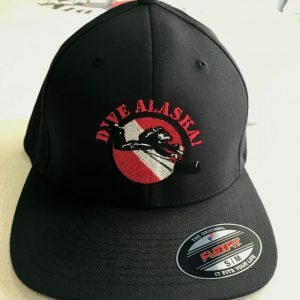 Even if you’ve never actually dove in Alaska, or even visited Alaska, this shirt is sure to lend credibility to any story you may feel like making up. This shirt is made from Hanes ComfortBlend, which makes wearing this tee a comfort experience that defies words (and is eco-friendly). Thanks, Hanes! 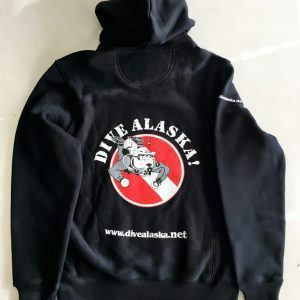 Dive Alaska T-Shirts come in any color you want, as long as it’s black.